My father taught me to love the river. By the time I was born, his river days were largely over, but small family trips combined with epic and wild stories ultimately led me to start rowing my own boats as both a river guide and on my own adventures. Some of my happiest memories of the last 10 years center around floating the rivers of the Southwest with the best people I know. This photo was taken last June right above Moonshine rapid where the Green River cuts through Split Mountain. The last time my dad was on this stretch of river was circa 1980. This time, though, my friend Anna and I were in charge. 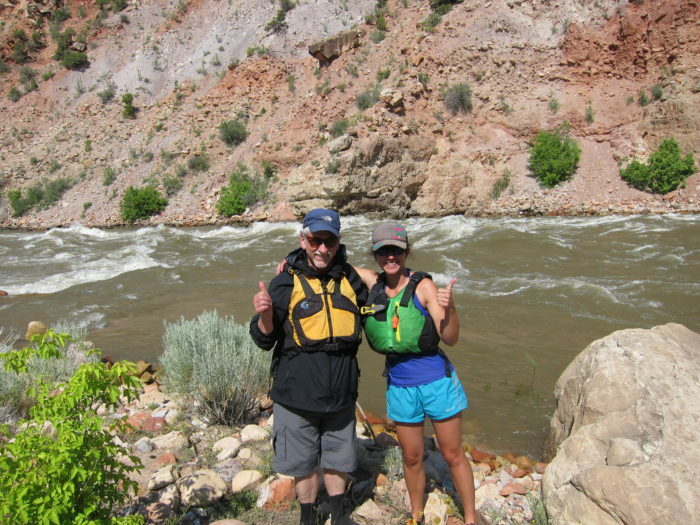 We rowed, dad paddled, and I saw in his face a glimmer of the young river rat he once was. His pride in Anna and me was palpable. Those 9 river miles were some of the most special I have ever shared with my father. I was the lucky winner of a Gates of Lodore permit for this coming summer, and dad will be tagging along again. He gave me the gift of the river, and it is my turn to give it back.